TIME to get back to basics! And what better way to learn about food, nature and sustainability than creating your own organic garden! It’s easy to do and can be fun, quality time families spend together. And if you need help, there is Groweez. Groweez is a do-it-yourself solution for growing herbs and vegetables that teaches children about food. It was created through a partnership between Pick n Pay School Club, Reel Gardening and Knorr. The aim is to encourage kids to care for their own herbs and vegetables, from seed to germination and right through to harvesting. In this way children learn the value of food and the basics of food security. 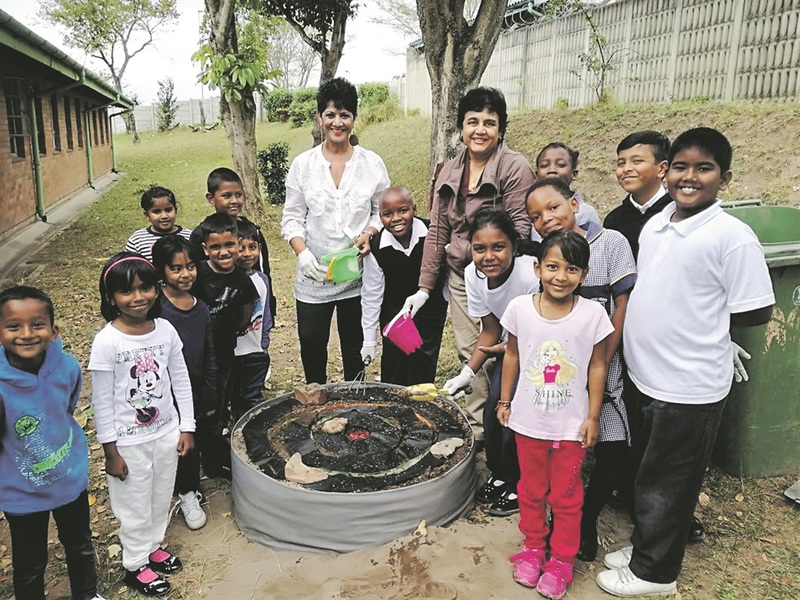 Some schools that received Grow Pods will be using their vegetable crops to feed their pupils. Claire Reid, founder and CEO of Reel Gardening, said Groweez is the perfect way to get started on this educational journey. “ I am constantly inspired by the joy and wonder I see on the faces of children who are experiencing the miracle of growing for the first time. “So many of us have lost touch with where our food comes from, how long it takes to grow and the experience of connecting with the earth. By simply going through the process of growing food from seed, we can start to reconnect with the simple things, learn patience and appreciate our food,” she said. The programme has so far delivered Grow Pods, seeds, nutrient packs and educational material to 2 300 schools around the country, helping teachers to bring the pages of the school curriculum to life in a fun, hands-on exercise. Each Groweez box contains a soil disc and a Reel Gardening seed sachet. Simply wet the soil, fill up the box and plant the sachet. Place in a sunny spot, water every day and, voilà, your plants will grow!